This video is part of the appearance, “NetApp Presents at Tech Field Day Extra at VMworld US 2018“. 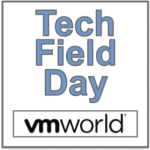 It was recorded as part of Tech Field Day Extra at VMworld US 2018 at 14:30 - 15:30 on August 27, 2018. Chris Gebhardt, Principal Technical Marketing Engineer, provides a technical preview of VMware Cloud with NetApp Storage. This provides storage elasticity and data ownership controls, while maintaining familiar workflows.